Mid evening visit. Subtle and sledgehammer changes taking place. Large blackboard now shows beer range and Chef's food recommendation, daily menu sheets placed on all tables. Harvey's fizz beers fonts are now evident. Evening visit, my first since the new managed house regime took over from long term tenant licensees Frank and John now retired. All pumpclips replaced with the new style and the long term labelling of Harvey's IPA as Harvey's Sussex Pale Ale has been swept away. No distress purchase Fuller's beer on sale. Subtle changes so far, let's hope no more than a few more take place. Seems to have become a managed house, sensible for what must be a money spinner for the owners. Late evening visit. CAMRA London's great and good seeping out into the bar after a long meeting upstairs. Evening visit until just shy of 11pm close. The first buds of autumn with Old Ale on pump. Evening visit, unusually for me still at food time but not for food. Perhaps the quietest I have ever known it, an evening visit until a prompt 11pm close. Harvey's - Sussex Best Bitter 4.00 I know I bang on about this being the UK's most variable beer but this was very sharply bitter with no floral hop nose or taste. Bad batch? Evening visit until 11pm close. Many London CAMRA dignitaries quaffing after a regional meeting here. Early Friday evening and, unexpectedly, it is very quiet in here. I had the pick of the seats in the front bar. Harvey's - Georgian Dragon 4.70 I rather liked this Red Ale which has no sweetness and some nice aroma dry-hopping. 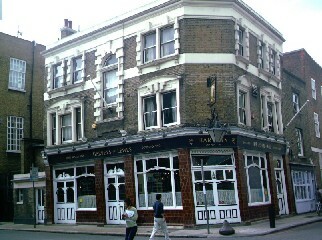 The pub is found in Borough, Central London, SE1 4JU. 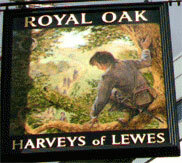 Harvey's first tied pub in the capital. Corner pub near Borough Underground station. Feels like an oasis from the bustle of London Bridge / Borough High Street. 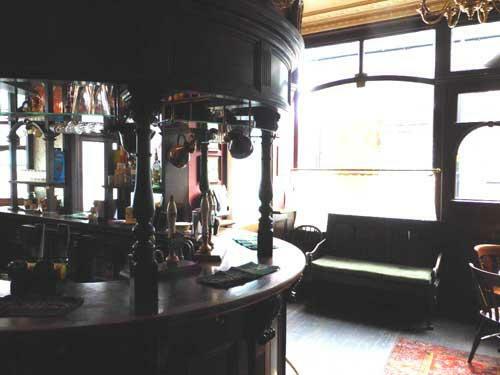 Two bare-boarded rooms in a pub with a central bar and an off-sales hatch. Lots of dark wood and cream walls. 4 handpulls on each bar counter so 8 in all. Comfortable atmosphere. Also has comprehensive selection of Harvey's beer in bottles. Became a managed house after the departure, to retirement, of long term tenant licensees in January 2019. Upstairs function room freely available. 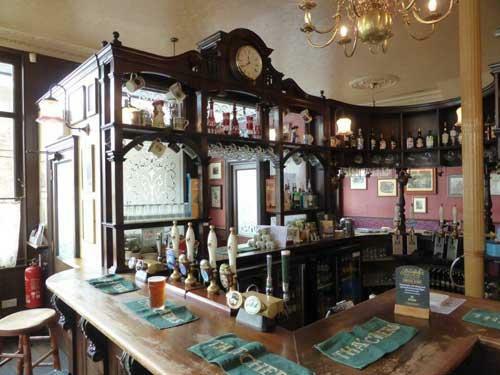 We have visited this pub 106 times, seen 42 different beers and tried 28 of them.